Leading neuroscientist and director of spinal cord injury research at Shepherd Center. She is internationally renowned for her work in motor recovery after spinal cord injury. Nationally and internationally renowned expert in health policy, outcomes research and clinical epidemiology. She is a professor of neurology and senior policy advisor for Transitional Outcomes at Wake Forest Baptist Health. Her expertise is in post-acute management of the elderly and individuals with stroke and falls management and prevention. Professor and endowed chair at the University of Illinois at Chicago. Her scholarship focuses on participatory action research with disability and aging communities to identify and assess barriers and supports people with disabilities experience to full participation in society. Professor and research director at the Indiana University School of Medicine/ Rehabilitation Hospital of Indiana. 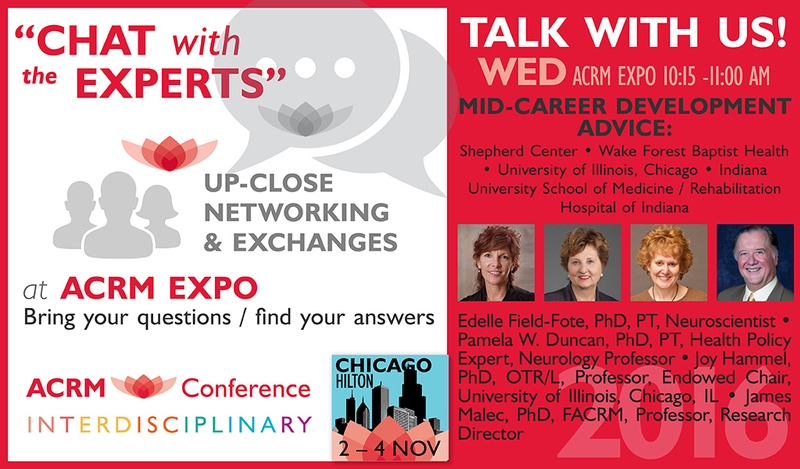 Dr. Malec is also chair of the Fellows of ACRM Committee. Associate Professor in the Department of Occupational Science & Occupational Therapy at the University of Toronto. Her research focuses on developing and evaluating interventions for people with cognitive impairments that promote their autonomy and participation in every-day life. 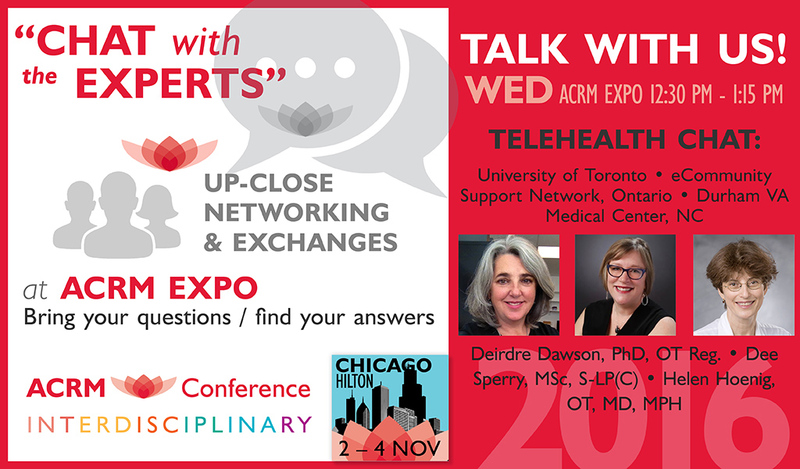 Dr. Dawson is also chair of the ACRM Geriatric Rehabilitation Networking Group. Speech Language Pathologist at the eCommunity Support Network in Ontario, Canada. Professor of Medicine/Geriatrics and chief of PM&R Service at the Durham VA Medical Center in North Carolina. 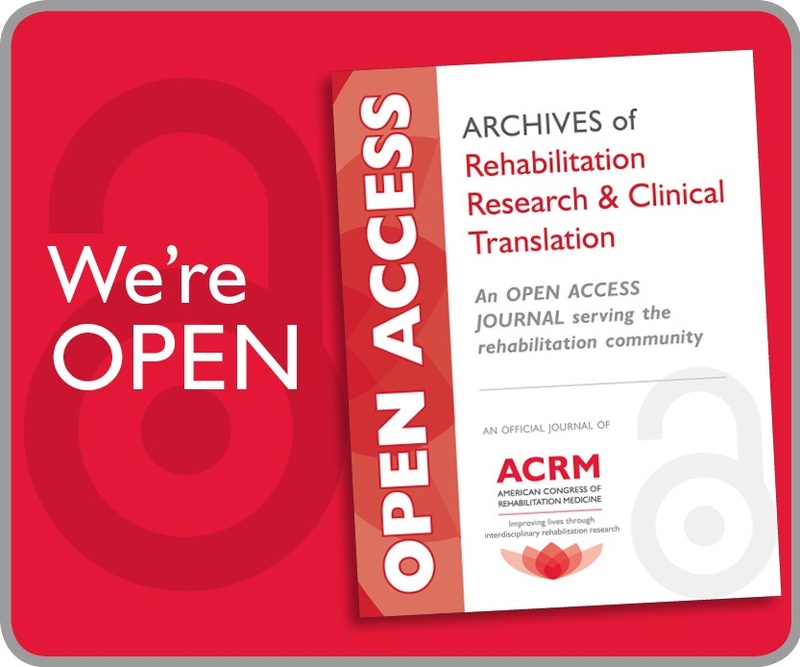 Dr. Hoenig is also the deputy editor of the ACRM scientific journal, Archives of Physical Medicine & Rehabilitation. Director of the Moss Rehabilitation Research Institute. 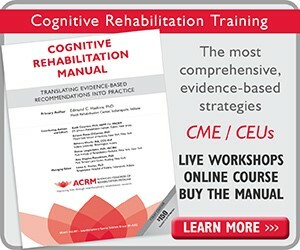 Dr. Whyte is also chair of the ACRM BI-ISIG Disorders of Consciousness Task Force. Chair of the Physical Medicine and Rehabilitation Department at Indiana University. 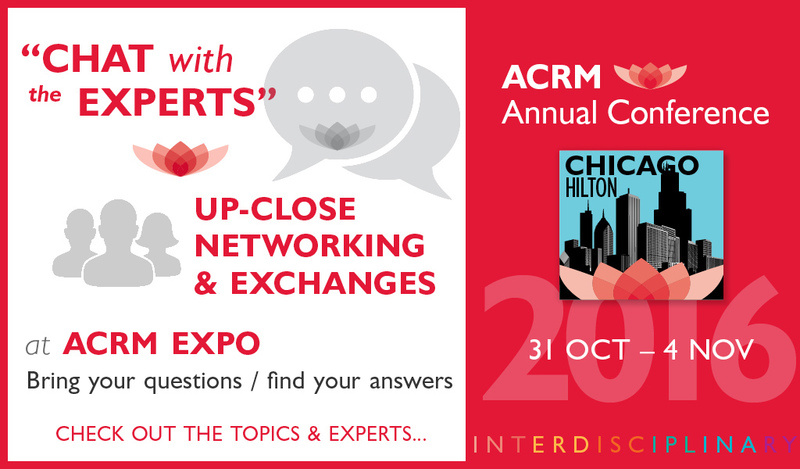 Dr. Hammond is also co-chair of the ACRM BI-ISIG Long-Term Issues Task Force. Professor of physical therapy, research director for rehabilitation sciences, director of the Rehabilitation Research and Movement Performance (RRAMP) Lab, and the program chair for the PhD Program in Health and Rehabilitation Sciences in the School of Health Technology and Management at Stony Brook University. 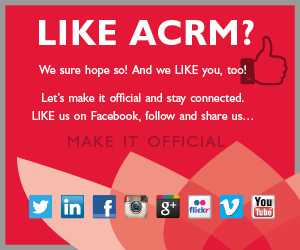 Dr. Sisto is also ACRM Past President. 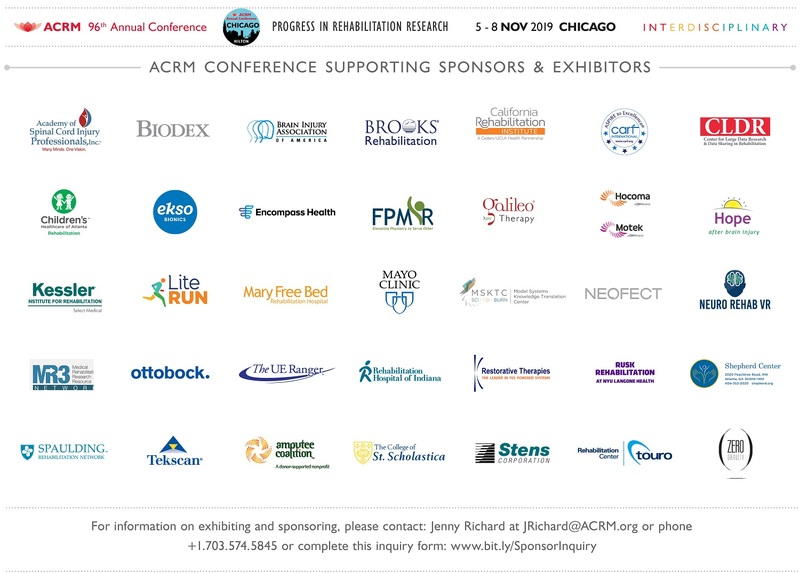 Clinical practice leader of neurologic physical therapy at the Rehabilitation Institute of Chicago. 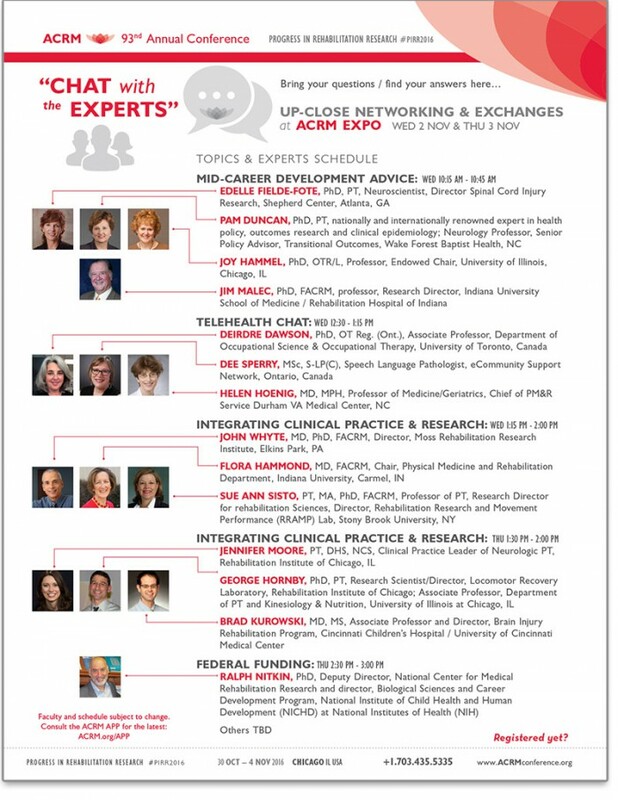 Research scientist and director of the Locomotor Recovery Laboratory at the Rehabilitation Institute of Chicago; and associate professor of the Department of Physical Therapy and Kinesiology & Nutrition at the University of Illinois at Chicago. Associate professor at the University of Cincinnati Medical Center and director of the Brain Injury Rehabilitation Program at Cincinnati Children’s Hospital. 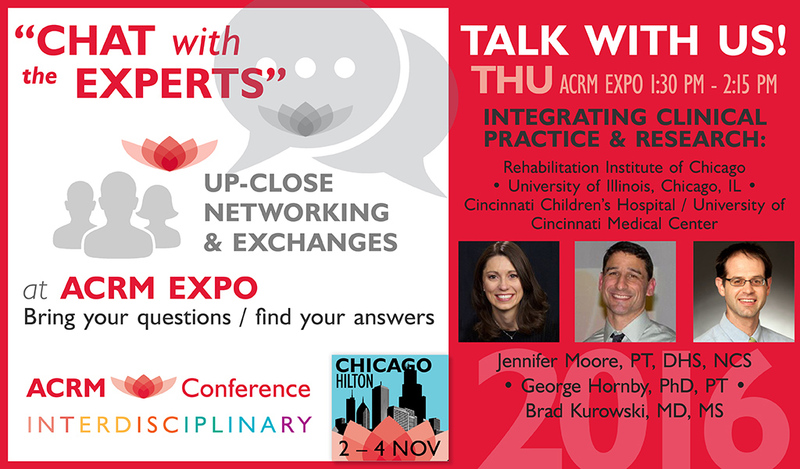 Dr. Kurowski is also co-chair of the new ACRM Physicians and Clinicians Group.